On The Rox leaves us shook in their new video for "Don't Cry For Me," and we're perfectly fine feeling this way. 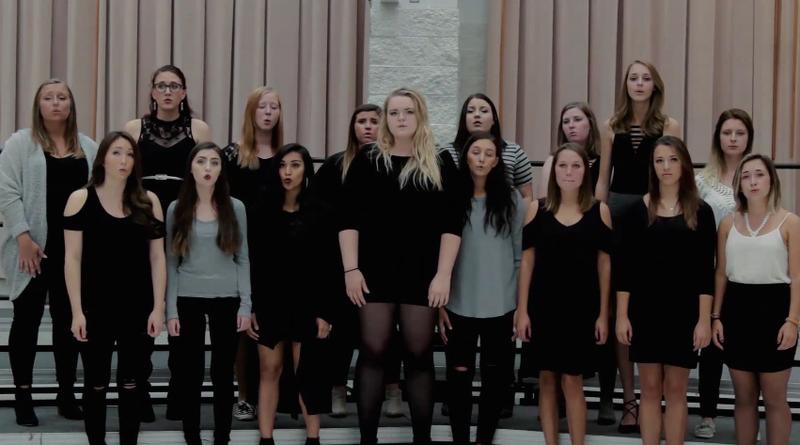 In their cover of Cobi's hit song from last year, the all-female vocal group from Central Michigan University leaves us moved with their stirring rendition, laden with emotion. The performance is a perfect balance of folk, country and blues. Picture a cross-breed of music from "Oh Brother, Where Art Thou" and James Bay. What makes the piece so powerful is that there are no bells and whistles. The only tool these ladies need is sincere singing, which is captured flawlessly in the lead's voice. And when the backing singers join in for the mid-song trio, hold onto your seats! We'd typically say that we hope you'll enjoy this week's addition to #WCW, but there's no need to utter the words. We know you will!